With Savage Beauty, the Victoria & Albert Museum is paying tribute to Alexander McQueen – the renowned British fashion designer who created collections combining fairy tale elements and horror scenarios full of blood or just blank reality. In order to honor McQueen adequately, all his key pieces are on show. Among others, the butterfly hat, the coiled corset and the ostrich feather dress are exhibited just as they were worn during the performance-like fashion shows: as pieces of art. Thus, the artist’s theatrical style is perfectly shown. 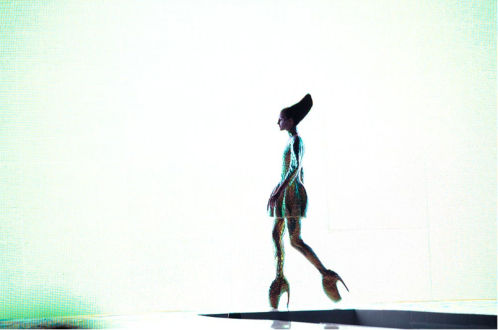 A dramatic yet magnificent atmosphere emerges from the displays alluding McQueen’s never-ending imagination. 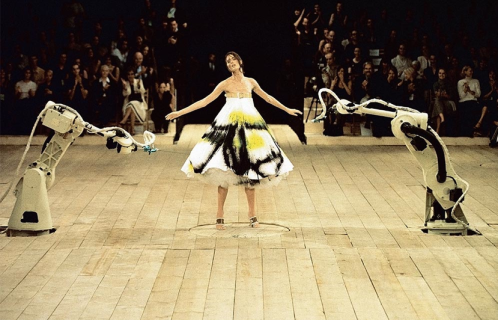 These groundbreaking spheres that revolutionized the fashion world at an uptight moment are visible again to prove the provocation McQueen creations have brought about. Savage Beauty is a beautiful tribute to the artist who ended his day five years ago.